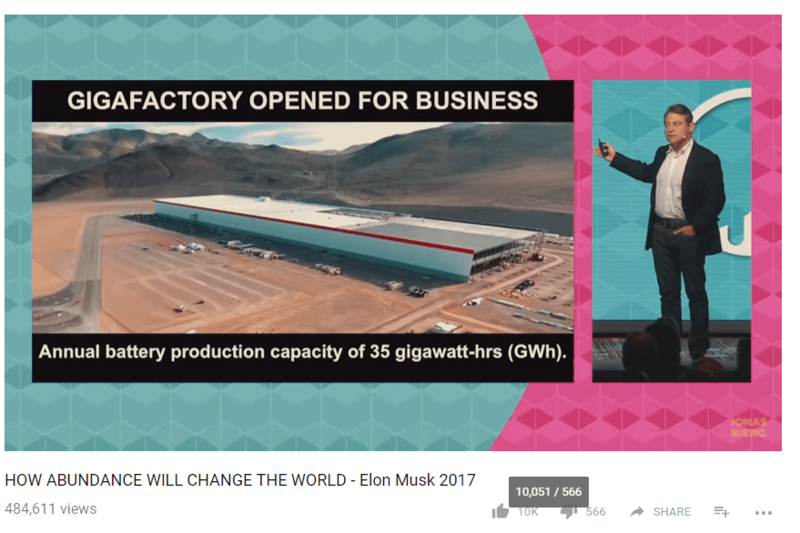 Peter Diamandis and Elon were at the World Government Summit 2017. 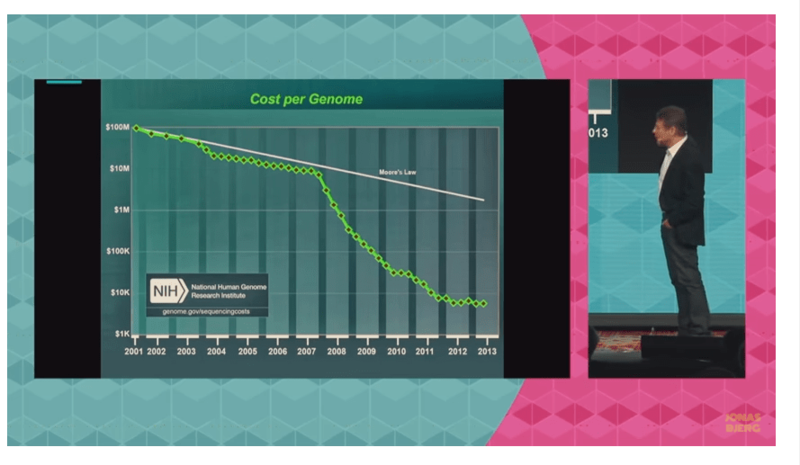 Cost per Genome is going down and has gone down exponentially. Quick review of video: ‘So robots will take over, the world will have abundance and people will lose meaning (having lost their jobs)’. So what will happen to friction of all this? When have you known people to actively agree 100% with how technology has gone along? As usual there is no thought to security. I know, I am in Cybersecurity field, and to me it is simple to see, when “some” people lose their jobs to robots, they may become hackers and either create new crime syndicates, or work for an already successful syndicate. Here Lee Waskevich’ commentary points out what I have said for many blogposts: We must focus on the basics first then we can point out the more advanced issues. So let’s train our employees to find the scams in our mailbox (email and mail) SCMagazine points out a survey that found 32% of Britons would become a money mule for criminals. The issue is that unemployed people talk themselves into many things, especially if they have no previous arrest records. In this Blog we know that people do illegal things and companies and people must defend themselves appropriately. Even as technologies become increasingly complex with more robotics and electrification of everything. (I always wonder why we focus on Cybersecurity AFTER a breach has occurred). Let’s put 10% of our efforts into Cybersecurity and then we will be better off. Contact Us to review your Cybersecurity profile. Ok, that’s good, but what about the Crypto Currency craze? 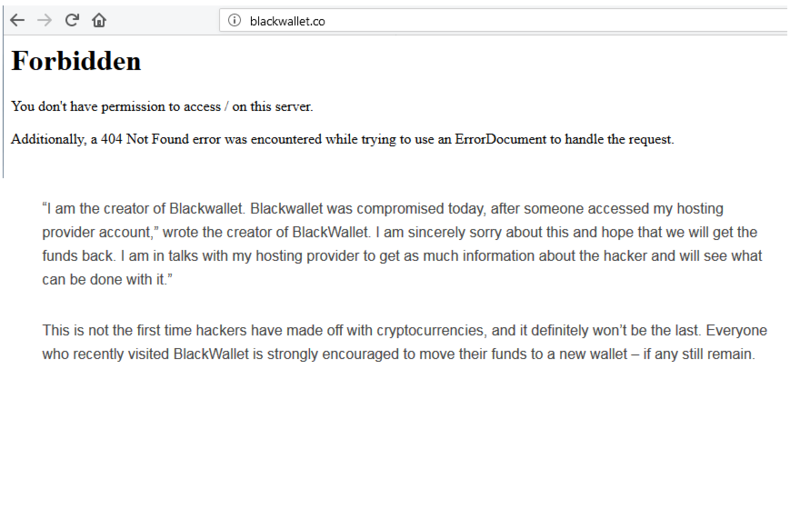 There will and are thefts here – Hot for Security has a story on how $400k was stolen in BlackWallet application using DNS, and as you can see right now 1/16/2018 13:30 the site is down. So what does that mean? If you are involved with money and even crypto currencies you better be testing your environment for cyber attacks.